Lafayette Anticipations is a new cultural space that will showcase visual art and performances, as well as hosting a workshop in its basement for artists and designers. Wolff Olins has created a “constantly changing” visual identity to reflect how the space both makes and exhibits art. 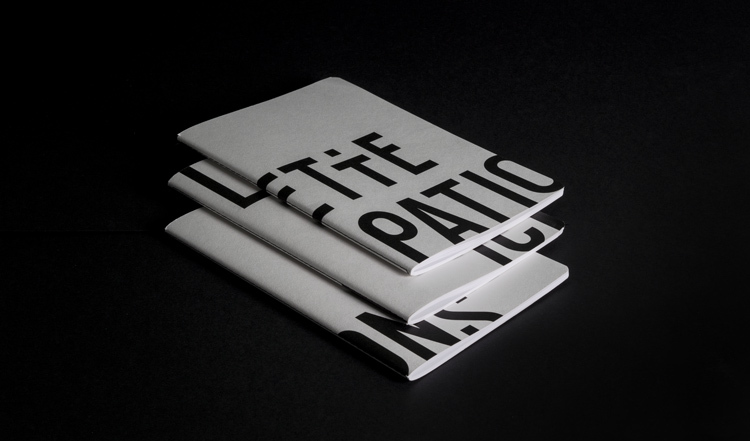 Wolff Olins has designed an ever-changing visual identity for new Paris-based art gallery, Lafayette Anticipations, which aims to celebrate the idea of making and invention. 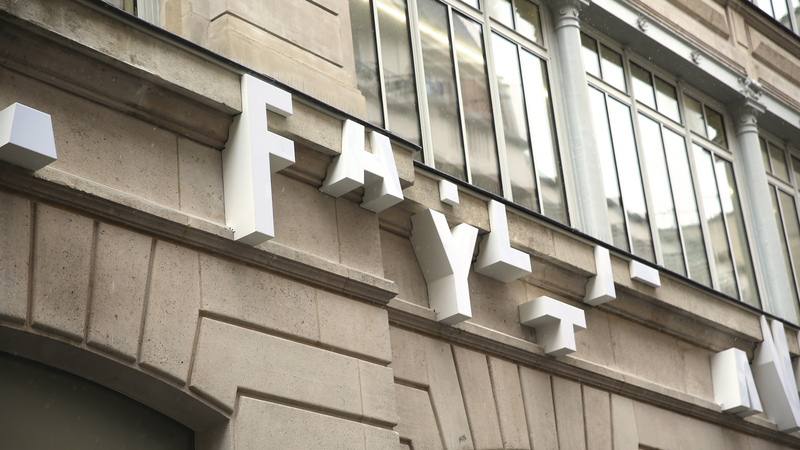 Lafayette Anticipations opened this month, and is a new venture from Galeries Lafayette Group – the company that owns French department store Galeries Lafayette, which was founded 120 years ago. Through temporary exhibitions, it will showcase the work of artists and designers and will also put on dance and theatre performances. 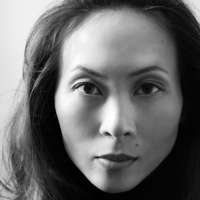 It will feature both French and international artists. The new gallery also features a makers’ workshop in its basement, which provides space and equipment for artists and designers to create work in-house that will then be exhibited in the gallery. The concept is similar to Somerset House in London, which has an in-house communal working space called Makerversity. The branding that Wolff Olins has created for the new gallery includes a core, bespoke typeface that is all-caps and sans-serif and was developed with foundry Colophon. 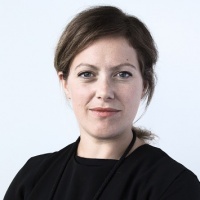 It is the “visual voice” of the gallery, and is used across all communications, says Sidney Lim, senior designer at Wolff Olins. 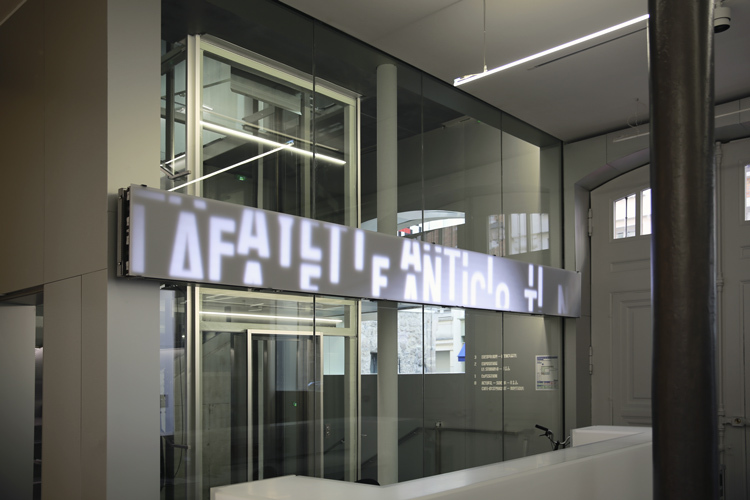 The letters in the typeface are mis-aligned and cropped randomly, which aims to reference the changing nature of the work produced and showcased within the gallery, says Lim. As part of the project, Wolff Olins created an algorithm which randomly generates different visual versions of words in this mis-aligned style, so that they would constantly look different. 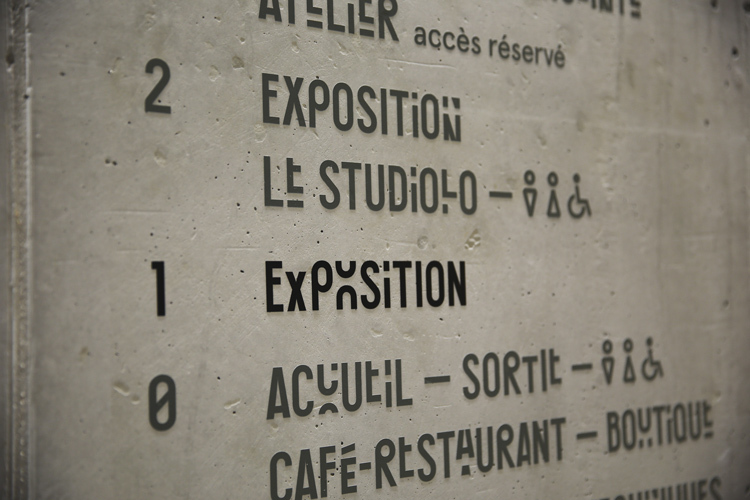 This algorithm, or “smart typeface” as Lim says, was then used to create words used across communications in the gallery, including wayfinding and signage, merchandise and social media. The central concourse of the gallery also features a digital version of this concept, with a projection of the gallery name constantly moving and changing into different interpretations. 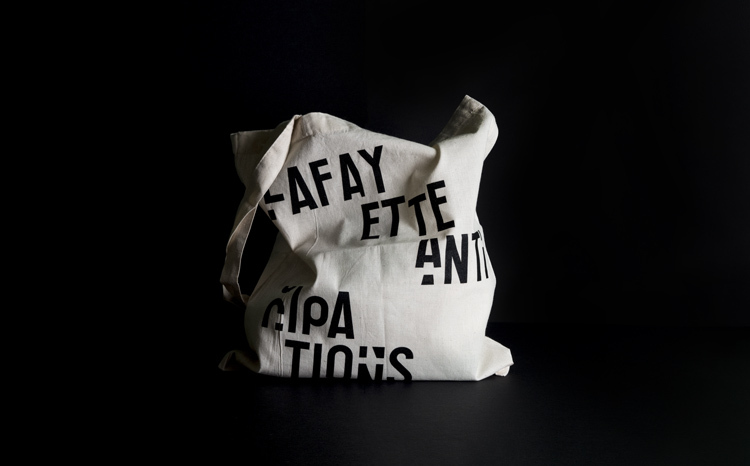 As well as representing the idea of in-house creation, the wonky typeface also represents the architecture of the Lafayette Anticipations building itself. Designed last year by Netherlands-based architectural firm Office for Metropolitan Architecture (OMA), led by architect Rem Koolhaas, the building has a central exhibition tower made up of four, motorised floors that can move. The space can be reconfigured and joined up in nearly 50 different ways for different exhibitions and purposes. The Lafayette Anticipations identity has rolled out across interiors and signage, online platforms such as social media with a website soon to launch, merchandise and print marketing materials, and in animated form on idents and trailers for videos of performing arts. The gallery opened to the public on 10 March with a free exhibition on American artist Lutz Bacher. Absolutely love this idea. The concept of continual movement, whether implied or actual, give the organizations branding a fresh and possibly unexpected look. Well done!